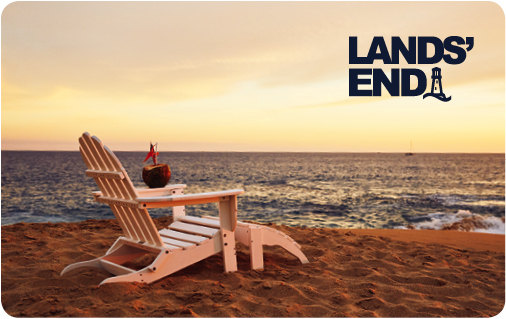 Lands' End | Gift Cards. Easy to give, fun to get, always fits... it's the perfect gift that lets them pick out exactly what they want. E-gift Cards provided by a trusted partner and Guaranteed. Period.® by Lands' End. eGift Cards provided by a trusted partner and Guaranteed. Period.® by Lands' End.